The London Art Fair of Modern British and contemporary art was held at Business Design Centre from 19th until 24th of January. Frieze Art Fair is the first choice for contemporary art lovers and critics because more prestigious artists and galleries exhibit there. However, it does not mean that the London Art Fair is less interesting. The space was like a warehouse, spacious and light. All the gallerys’ booths were spread over three levels. The different colours and textures of the artworks create a vibrant palette. Unlike the majority of other art fairs more galleries were open about their prices and put them on the wall. The London Art Fair was very budget-friendly because the price range was from hundreds to hundreds of thousands. A lot of galleries also offered prints of artworks for those who were not looking to spend much. Danielle Arnaud Gallery represented Suki Best’s mixed media artworks. Two were cardboard jigsaws of country houses painted with black ink and varnished. The price for each piece was £1340. 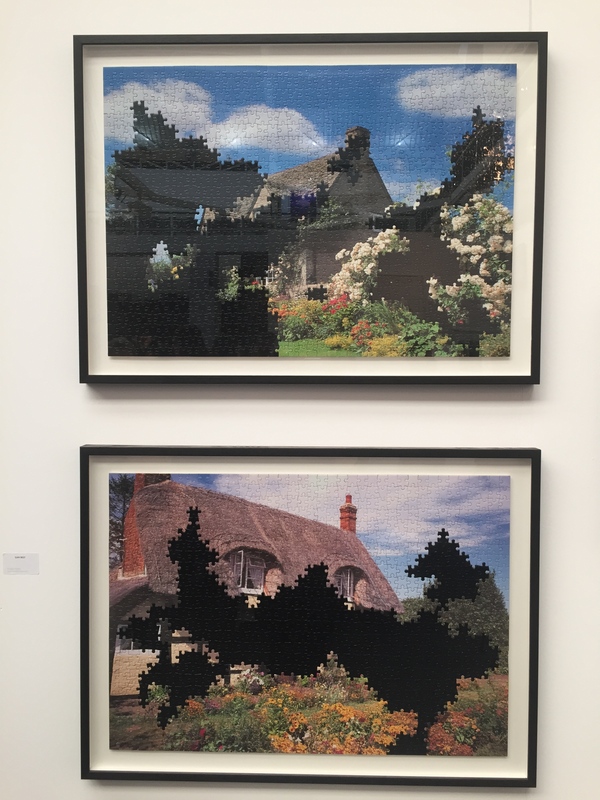 It interesting because jigsaws have appeared in the Artissima Art Fair as well, created by the Intalian artist Christian Manuel Zanon. Pertwee Anderson & Gold represented refreshing and colourful pieces of art. 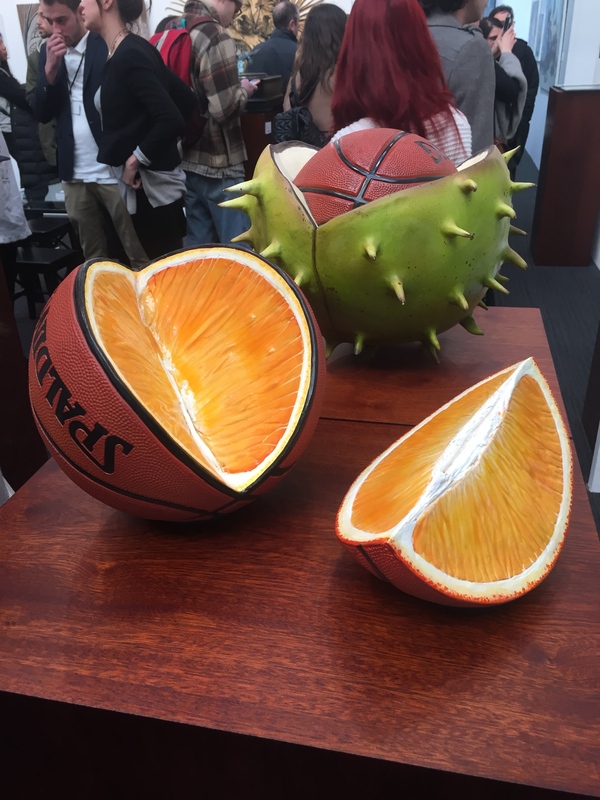 These were basketballs featured as parts of fruits created by Simon Shepherd, who is combining natural and manufactured. Each piece can be purchased for £3500. 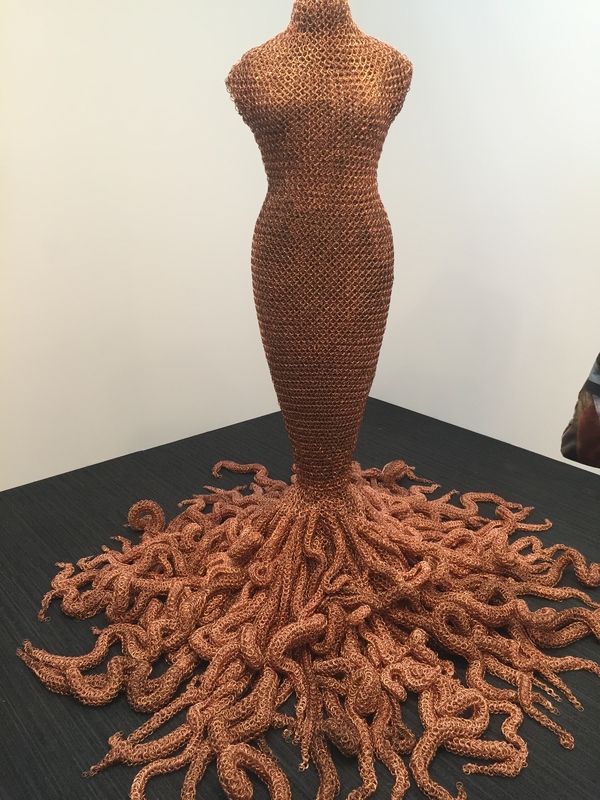 Merville Galleries featured a copper dress “Medusa” made by Susie Macmurray. The dress is made from 150 to 200 thousand copper rings and it weights about 300 kilogram. The artist created the chains first and then shaped it in the dress, it took 6 months and 2 assistants to produce this piece. There was largely artworks presented, however, on the top floor you could find furniture departments as well as The New York Times newspaper stand. I had a pleasant overall impression from visiting the Art Fair. If you want to fully decorate your house it can be a good place to start shopping.